An anthem in a musical usually comes when a character is at a crossroads, and we’ll be taking a look at a variety of anthems on this week’s Dress Circle (12/10 7:00 p.m.). At some point in most musicals, one or more characters have to take stock of their situation and overcome some obstacle in order to find a happy ending, and that moment of personal crisis has given birth to some of the greatest songs in musicals. 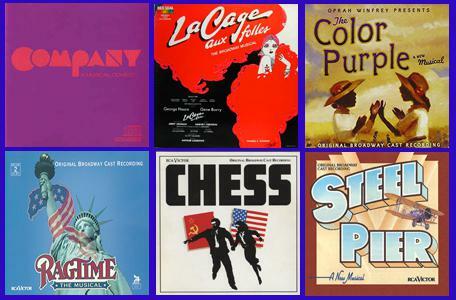 Join as we sample anthems from “Ragtime,” “Steel Pier,” “Chess,” “La Cage Aux Folles,” “The Color Purple,” “Company,” and more. It’ll be an hour of memorable numbers and personal resolve. Listen to a collection of Broadway "Anthems," songs of resolve.